Toast is an underrated food. It has spanned beyond the typical butter and jam to take on avocado and goat cheese. Summers n Pittsburgh bring BBQ and dinners on the porch. Many times a dessert is needed that can bring out the taste of that cool IPA. Sweet Grilled Peaches is an easy, but fancy dessert to impress anyone. Fall may be one of my favorite times of year because it means the return of soup! Sure, you can still eat soup in the summer, it's not the same as a cool, breezy day. I'm not talking frigid temperatures like winter. Those are chili days. I'm talking comfortable weather. Okay, so I'm "stealing" this one from Better Homes and Gardens, but it's a super cute idea. 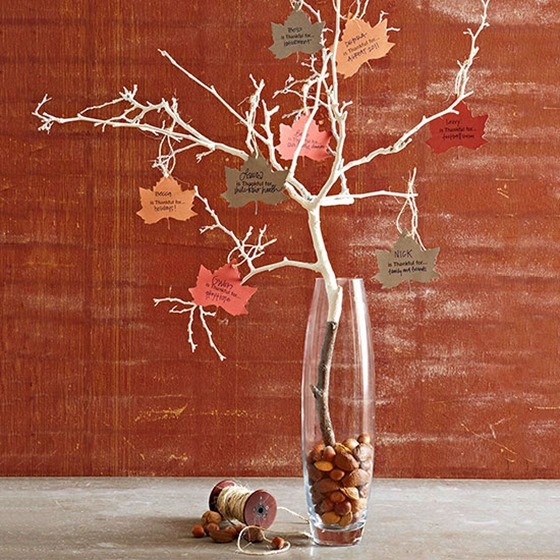 In an effort to spread some positive thoughts in the world how about a Thankful Tree? Pinterest brought to my attention a cupcake costume (via costume-works.com). This one is right up my alley since I'm a huge fan of cupcakes. I am a baker. I like to play with new recipes. I like to try new things. I like to try intricate things. Strawberries are one of my favorite fruits of summer. You can eat them by themselves, or you can add them to a ton of different things. You’ve got strawberry shortcake, strawberry pie, strawberry muffins, etc. And, if you add in rhubarb or other berries, the options are exponential. In this day and age of Pinterest and Google searches, I am a fan of doing some super fun things with crafts. When my friend got married, her sister started a Pinterest board to plan things for her bridal shower. I am admittedly one of the millions that watches Game of Thrones. It is one of the shows I go out of my way to watch at or near the time it airs on HBO. In an effort to apologize before it happens, please be aware that it’s taking all of my power to not turn this into a GoT commentary post. With that said, I will do my best to keep it on track for purposes of this week’s DIY project. I got introduced to The Mighty Nest in April and decided to give it’s monthly subscription a chance. I have never done a subscription box before but this one that could help the environment. I’ve reached a point where I need to declutter and reorganize my home. Maybe it’s because I’ve been in this house for over a decade and it’s still missing something that makes it “home.” Maybe it’s because I realize I have little to nothing for storage options. It’s February! We’ve survived the holidays. Although we had temperatures in the 40s, 50s, and 60s for Christmas, we’re starting to see those colder temps settle in a little bit more now. I don’t know about you, but winter is one of my favorite times of year to the extent I can settle in with a blanket and a nice cup of warm soup and allow my mind to drift off to a nice warm oasis. While I’m a fan of a variety of soups, chowders, and chilis, Irish Beef and Guinness Stew is one of my hearty favorites. You can’t beat the warm, thickened beef broth bathing tender cubes of browned beef, moist potatoes, and soft carrots. Just thinking about it, I’m tempted to run to the grocery store to pick up the ingredients and make a batch right now! It’s January, which means it’s a whole new year. I try to not to follow every baking/cooking trend I find on Pinterest, or Facebook, or whatever other sites I happen to stumble upon. This time, however, I can’t get over how cute the melting snowman sugar cookies are. Seriously. Adorable. I love DIY craft projects. When Christmas rolls around, I often make a list of DIY projects I can make for various people in my circles. This particular project has come across my radar more than once this holiday season. If you’re looking for something unique, easy, and quick (I’m not saying you forgot your kid’s teacher’s present, but if the shoe fits…) this project definitely fits the bill. While I normally check out Pinterest throughout the year, it seems Christmas is the time of year when I can spend hours on end pinning recipe ideas and crafting ideas. It’s that time of year when things are changing. The sun is setting earlier. The cold winds are blowing. The trees are changing.